Sunny Beach is a seaside resort located 32 km north of Bourgas and 435 km east of Sofia. 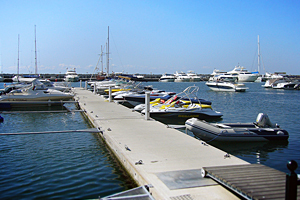 It is a popular tourist destination because of the wide range of services that the resort provides to its visitors. 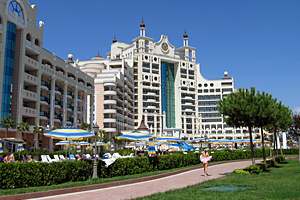 The resort has over 130 restaurants, clubs, bars and discos, summer theater and cinema, playgrounds, shopping center, numerous attractions, and over 200 hotels. The accommodation includes different categories of hotels, five-star resorts, guest houses, villas, bungalows, rooms over 27,000 beds all together. The fully developed infrastructure, with a various entertainment and eight-kilometer sand line, ensuring an unforgettable experience in the biggest seaside resort in the Bulgaria. Architectural and Historical Reserve Nessebar, the Old town - Nessebar is one of the oldest towns in Europe, existing for 3200 years, it has been able to preserve a significant part of ancient structures and artifacts. The Old town is included in the list of UNESCO World Heritage site. Camping - there are several camping sites, around the resort, fully equipped with all necessary facilities, the closest of which are – camping Aheloi - 7 km and camping Diana 16 km. Sunny Beach has very busy program for all kinds of parties and concerts with Bulgarian and international stars, during the summer.